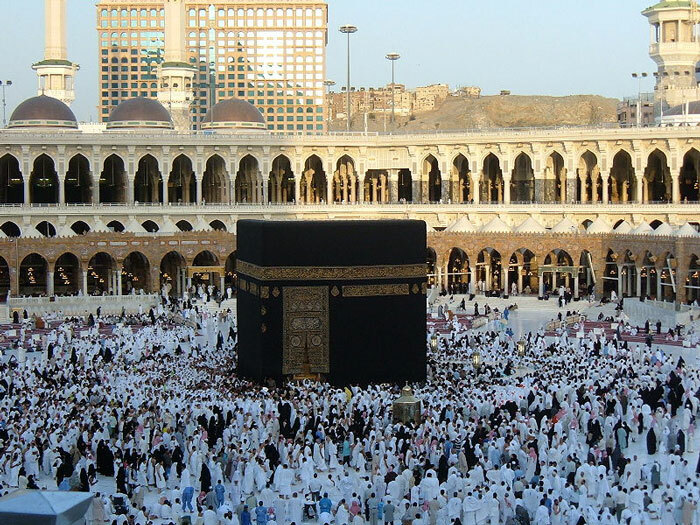 Raml (Arabic: رمل) refers to the practice of walking quickly, lifting the legs forcefully and sticking out the chest while moving the shoulders during Tawaf al-Umrah and Tawaf al-Qudum, so as to imitate a warrior. It is a Sunnah to perform Raml for the first three rounds before returning to normal walking pace for the final four rounds. Neglecting Raml will not invalidate the Tawaf.